Gun charges against an Atlantic County sheriff’s officer should be tossed out, his attorney argued Tuesday. 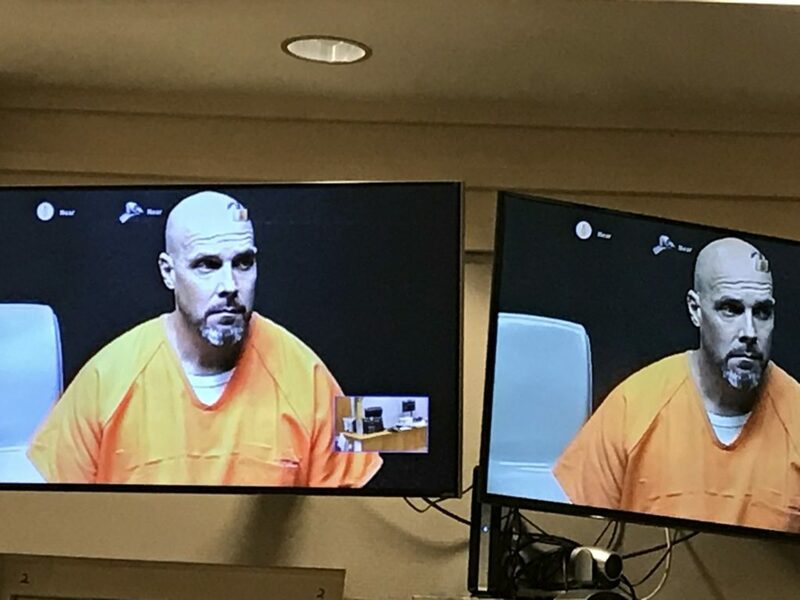 Daniel Ginsburg, 44, faces charges of terroristic threats and possession of a weapon for an unlawful purpose in what started as a domestic dispute April 13, between him and his girlfriend, and ended with him arrested the next morning. “We believe the state misled the grand jury with half-truths and statements out of context,” defense attorney Steve Scheffler argued. A text saying “I’m going to get guns now” was presented without explanation or a timeline, he said. He was talking about picking up his two legally owned guns — his service weapon and a personal gun — from the home the couple shared, Scheffler said, adding that the text was sent before the threats came later. “When does that turn from legal possession of a weapon to possession of a weapon for an unlawful purpose,” Scheffler asked Superior Court Judge Bernard DeLury. Assistant Prosecutor Erika Halayko suggested it was when Ginsburg threatened to kill the woman in numerous texts. Ginsburg sent hundreds of text messages that were “threatening and harassing in nature,” Halayko told the judge. When Ginsburg was arrested early April 14, he had the two guns in his trunk. The grand jury was not told of the guns’ legality nor that Ginsburg used a gun for work, Scheffler said. It was not clear if a set timeline showing all the texts between the two exists. Scheffler said the woman deleted some texts, while others are saved as screenshots, which don’t have time stamps. DeLury said he will make his decision on the indictment Oct. 25. Ginsburg appeared via video from the Cape May County jail. He is being held there due to his employment with the Atlantic County Sheriff’s Office. He was ordered detained under bail reform.